Want To Know More About NASA’s Jet Propulsion Lab Lander? Scroll through live updates from AU including links to on-demand content, breaking news and more. AU is Over but the Learning Doesn’t Stop! In today’s Design and Manufacturing keynote, our Vice President of Design and Manufacturing Business Strategy, Greg Fallon, discussed the convergence of design and manufacturing and its implications for the product development process. With manufacturers having a hard time keeping up with increasing demands, Fallon pointed out that we can no longer think of CAD, CAM and CAE as separate functions. “We need to break down silos. We need to bring design and manufacturing closer together. Connecting data, people, and processes is the key to digital transformation. When you put data at the center of your processes and connect it to the right people at the right time you break down the silos in the design process. Putting data at the center enables the connection of tools, processes, and people. And once the people and processes are connected, you can automate the processes themselves,” said Fallon. Various guests and customers helped showcase how our Product Design and Manufacturing Collection makes it easier to share data between tools, people, and the processes, as well as how it connects design to production. The connections we’re making possible with the Product Design and Manufacturing Collection are having a real and tangible impact on our customers’ businesses. In fact, we’ve seen consumer product companies cut 20% of the time required to fulfill a semi-custom design, all using the tools provided in the Collection. Stephen Hooper, our VP & GM of Fusion 360, also joined Fallon on stage, announcing new generative design functionality with Fusion 360. Interested in learning more? Check out this blog on what’s new in Manufacturing and watch the keynote recording. In today’s AEC keynote, our VP and General Manager of the Construction Business Unit, Jim Lynch pointed out some challenges in the construction industry that could be overcome with more digitization. For example, almost 98 percent of projects incur cost overruns or delays, projects are getting more complex, and finding qualified staff is tough now that demand for new buildings and infrastructure is at an all-time high. “One of the ways you tell me you’re addressing these challenges is by integrating new workflows, new processes, and new technology to help you improve collaboration, automate away tasks that aren’t productive, and get better and more predictive insights from your data. 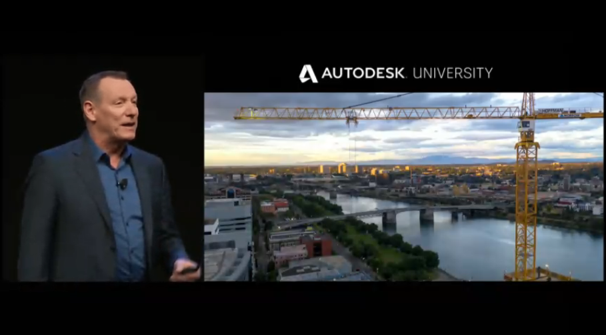 At Autodesk we see ourselves as being on this journey of transformation with you,” said Lynch. 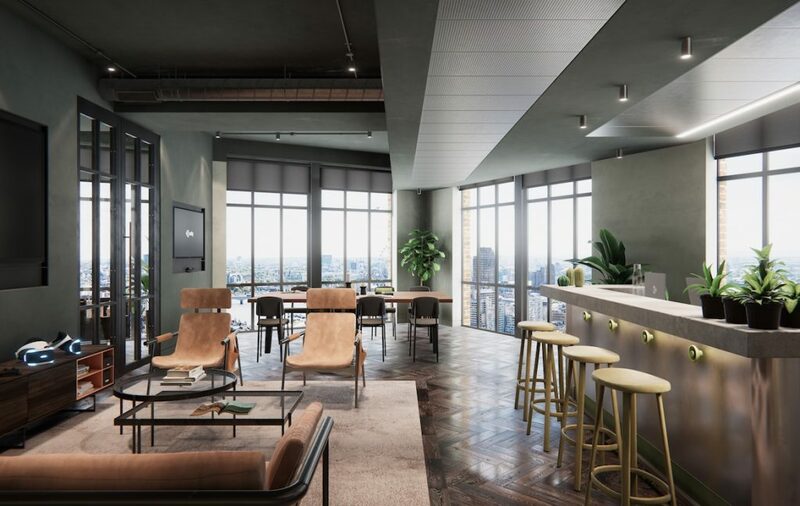 With the help of some colleagues and customers (Mott MacDonald, Lira Consulting Structural Engineers and PARIC Construction), Lynch demonstrated how this will help you do more collaborative and productive work, for better outcomes with less negative impact. Tune into the keynote recording here to learn more. In today’s AEC Keynote presentation our CEO Andrew Anagnost will sit down with Unity CEO John Riccitiello to talk about some of the work we’re doing together with AR/VR for the AEC market. For the last year, we’ve been working with Unity to deliver “one click” access to rich interactive 2D, 3D, VR and AR experiences. Now, the relationship continues. Autodesk and Unity are teaming up to bring visualization and real-time experiences to more industries: Automotive; Architecture, Engineering and Construction and additional M&E customers. Want to see and feel the immediate impact of design changes on almost any device, from anywhere? Interested in training muscle memory from the safety of a virtual world, rather than a dangerous construction site or factory floor? Then you want to know more about our partnership with Unity. Get the details here. What do these projects all have in common? 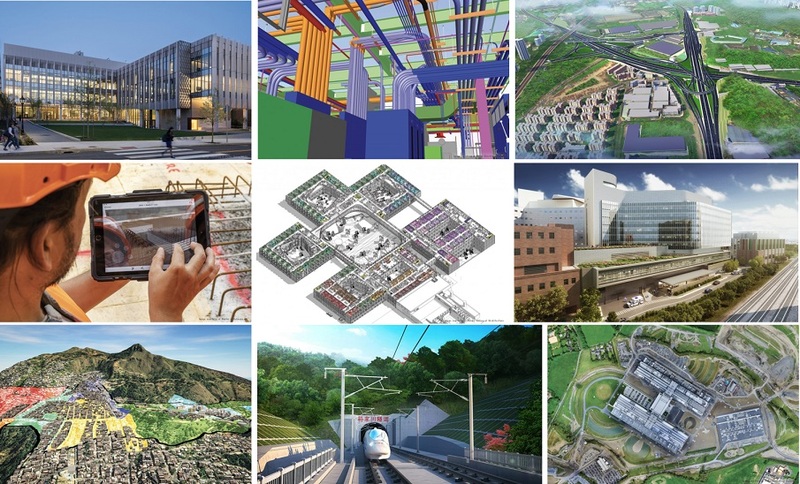 They’ve been honored in this year’s AEC Excellence Awards for embracing technology to reimagine the processes of design and construction. Learn more about these projects and this year’s Innovator of the Year here. In today’s General Session, Autodesk Director of Robotics, Dr. Erin Bradner, unveiled a concept lander that could possibly give humanity its best chance of finding life beyond Earth. Bradner explained that Autodesk has been working with NASA’s Jet Propulsion Laboratory to help them “use generative design to model all types of parts and manufacture them in all types of ways.” Learn more about the lander and the work we’ve done together here. 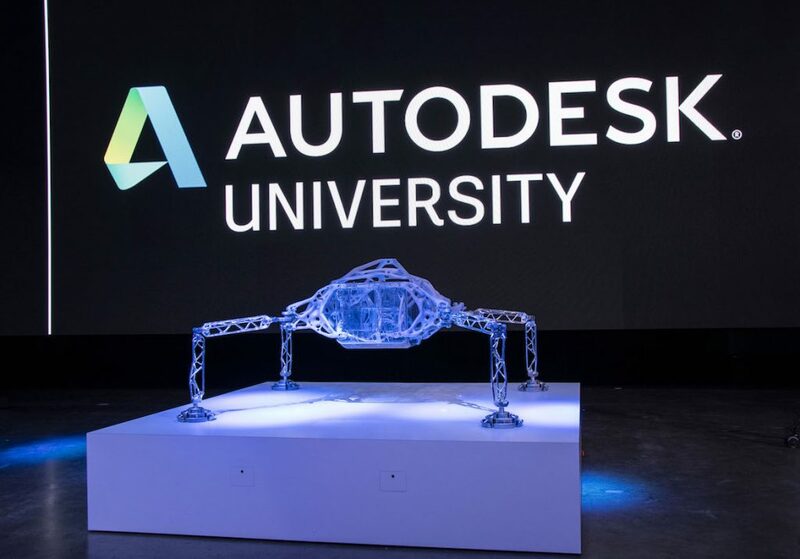 The lander made its debut during the opening keynote of Autodesk University in Las Vegas on November 13, 2018. Anagnost outlined the three pillars to our customers’ future success — adaptability, resiliency, and community — and some of the initiatives we’re delivering for these pillars. Adaptability: We already offer product-based certifications and are adding role-based ones like BIM Manager certification. Our first online certification program is on Coursera today. We’ll continue evaluating and anticipating the skills you’ll need through predictive data and analytics. That’s what our generative learning pilot in Fusion 360 is about. Resiliency: We recognize that the trades are vulnerable to automation, so we’re partnering with four labor unions in the US to provide training to more than 4,000 members each year. We’re also partnering with Village Capital to invest in companies focused on automation for good, including Factory_OS, who bring construction trades into the manufacturing environment, to build affordable housing. Community: We’re making the development of automation tools accessible to anyone through our Forge development platform. This means you can add automated process on top of the products you’ve built your business around. As well, we’re working with Deloitte to research what talent and skills companies are going to need in the future. AU attendees are invited to participate in the survey, to share how automation is influencing their work. Together, this research will bring insights and rigor to the dialogue about the future of work. And by the next time we see you at AU, we’ll share what we’ve learned and what else we’re doing about it. Last year, in his first keynote as our President and CEO, Andrew Anagnost shared his perspective of automation not as a threat, but as an opportunity for all of us to make more, better, and with less negative impact on the world. He also pointed out that more demand is inevitable as the global middle class grows, and that less negative impact is a reality we all need to face up to. This year, Anagnost built on this concept and focused on the opportunity of better. Various guests helped explore what this opportunity could mean including Autodesk’s new CTO, Scott Borduin and author of “Imagine It Forward” and former GE Vice Chair, Beth Comstock. 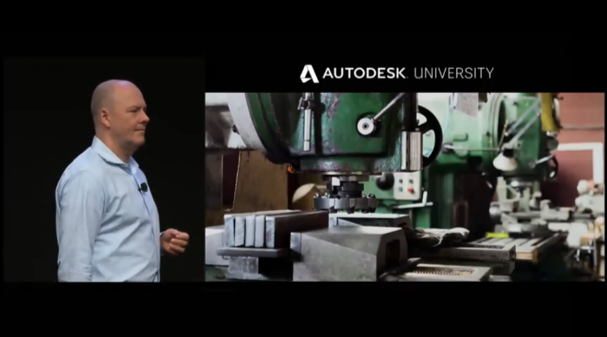 The big takeaway: Autodesk will help you thrive in the era of automation. Check out the General Session for yourself here. It’s worth a watch! Many of the thousands picking up their AU badges this morning have decided to forgo their welcome gift and make a donation to this year’s charity of choice instead. UNHCR, the UN refugee agency, is the recipient of the 2018 AU Las Vegas Donation Drive. It is a global organization dedicated to saving lives and building a better future for the 35 million refugees around the world fleeing conflict, persecution, and natural disasters. 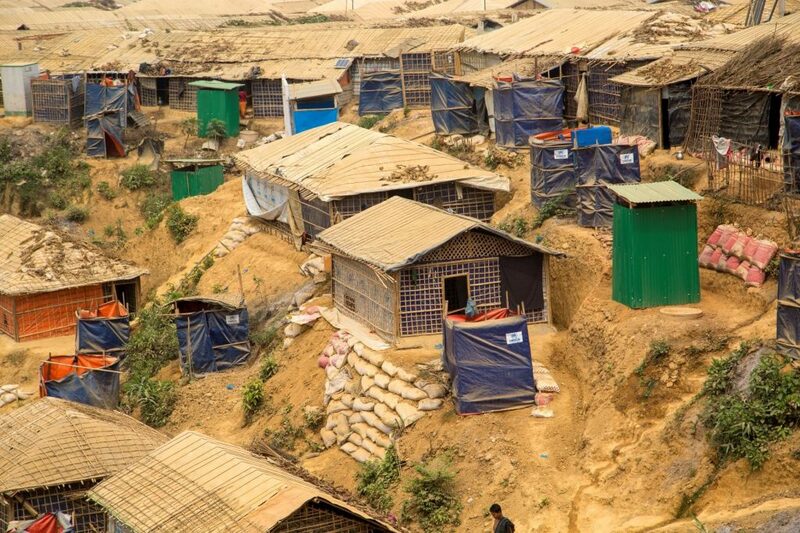 Autodesk software is helping UNHCR’s refugee settlement site planners shelter migrants in more efficient and effective ways. While we’re on the topic of doing good, we’re also proud to say that for the fourth consecutive year, AU Las Vegas will be carbon neutral. This year, it’s being achieved through a collaboration with ClimateCare and Burn Cookstoves, maker of the fuel-efficient Jikokoa cookstove. To date, Autodesk has supported Burn Cookstoves to avoid 40,000 metric tons of CO2. Burn Cookstoves is part of the Acumen Fund, an Autodesk Foundation customer that supports sustainability solutions to address global poverty. BIM 360 wasn’t the only product to feel the love this past year. At the Forge DevCon preconference we’re celebrating some of the great strides made for the cloud developer platform. From new people and platform developments to investments in the Construction industry, learn more about why it’s been a great year for Forge. 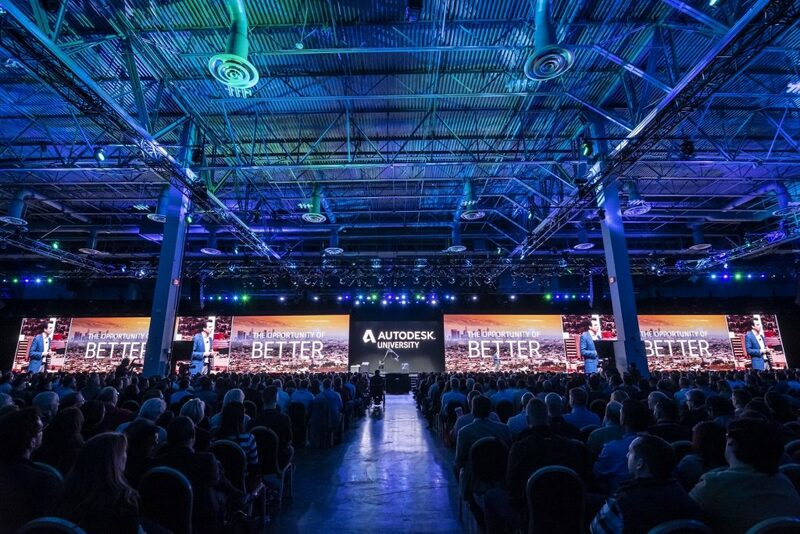 In conjunction with Connect & Construct, the first of our AU pre-conferences, we’re looking back at highlights of the past year for BIM 360 — a year that delivered thirty-three releases, more than 130 features and 60 new software integrations, plus the acquisition of Assemble Systems and their SAAS solution for 4D & 5D estimating and scheduling. 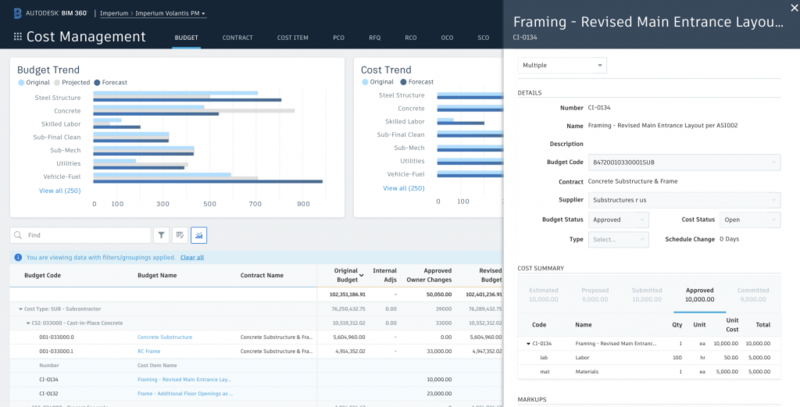 This list keeps growing, because today we’re announcing new support for a key construction workflow – Cost Management. This module will be offered as a limited availability pre-release in December. Read our full blog post for more information. Continuing on the Construction front, we’ve also released a KPIs in Construction ebook, outlining the findings of a Dodge Data and Analytics survey on where the industry may be headed, and perhaps should be headed, regarding Key Performance Indicators and benchmarking. Based on input from more than 200 construction and trade professionals, the study identified seven main categories where companies should be collecting data and seeing how their performance stacks up. The findings suggest that by adopting consistent (or repeatable) processes for construction project management, you can reduce risk and minimize downstream problems, improving performance. Learn more about the seven recommended areas of focus here. Still not quite convinced about the power of data? See what Autodesk’s VP of Construction, Jim Lynch, had to say about big data in construction. 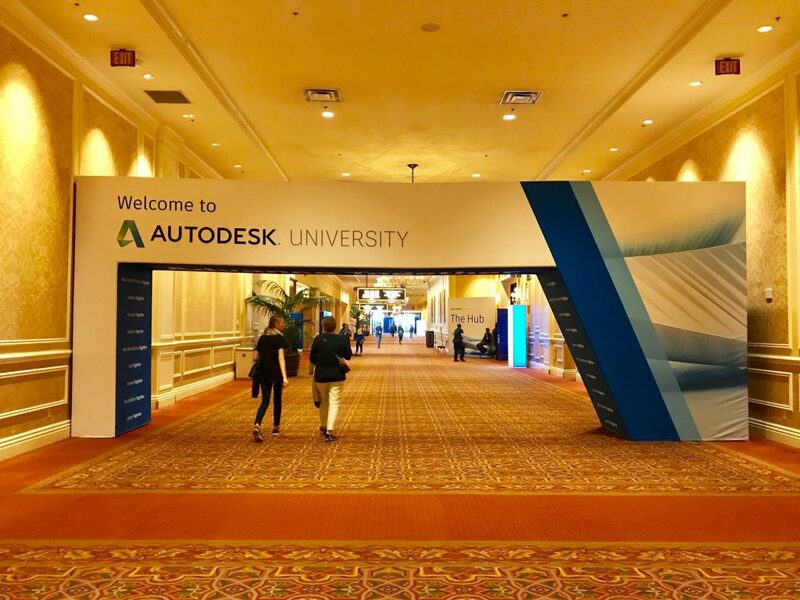 Ten thousand architects, designers, engineers and digital artists are descending on Las Vegas for Autodesk University (AU), which kicks off with pre-conferences today. 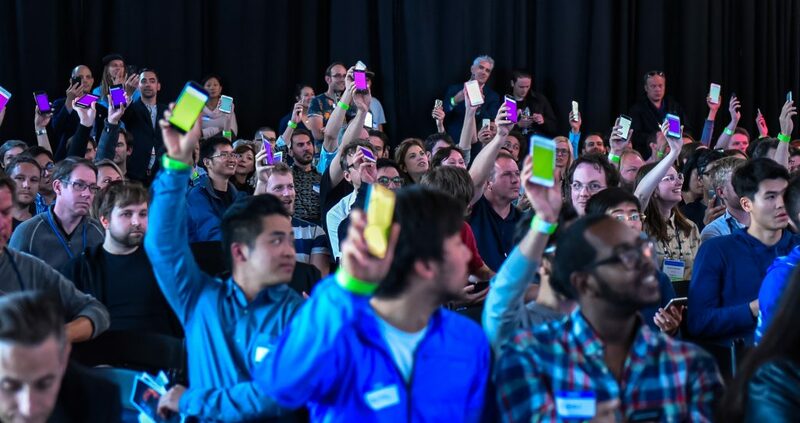 Over four days at the annual event for those who design and make the world around us, attendees will explore how the convergence of design and make will let us to do more, better with less negative impact. If you’re reading this at home, don’t despair! We’ll direct you to live streaming (schedule here) and on-demand content when it’s available, and we’ll post regular updates here to keep you informed. Before we jump in, we’d like to give a shout out to HP, our diamond sponsor for AU Las Vegas 2018. In the AU General Session, Autodesk President and CEO Andrew Anagnost will share his perspective on how automation, the convergence of design and make technologies, and the changing nature of work can unlock opportunities to do more, better, with less negative impact on the world. He’ll be joined by several guests, including Autodesk CTO Scott Bourdin, Autodesk Director of Robotics Erin Bradner, and author of “Imagine It Forward” and former GE Vice Chair, Beth Comstock. Two industry keynotes for the AEC and manufacturing industries, along with TED-style sessions in the AU Theater, will bring together Autodesk and industry experts to take a deeper look at topics such as advances in generative design, robotics and human-machine collaboration, reimagining work, and design for sustainable and social impact. Real-world examples of customers who have already benefitted from these opportunities are going to be showcased in the AU Expo. There will be a robot-equipped shipping container that can be brought on-site to additively manufacture custom construction components on-demand; a massive, immersive 3D model of the city of Paris being used to reimagine the 2.4 sq km Eiffel Tower grand site ahead of the 2024 Olympics; a Formula One car reimagined with generative design and visualized in virtual reality; and much more. We’ll be sharing some videos of the coolest exhibits this week. We’ll also be sharing news of product advances, partnerships and initiatives that will help you prepare for the future of making, so stay tuned! Autodesk digitally scanned the USS Iowa to reverse engineer this complex mechanical system.